Get to live in The "Best Historic Small Town in the U.S." according to USA Today! Tarpon Springs is a quaint town in North Pinellas county filled with charm and easy living, home of the world famous sponge docks! A great location, A+ school district, close to the water, close to award winning golfing at Innisbrook and in great neighborhood! 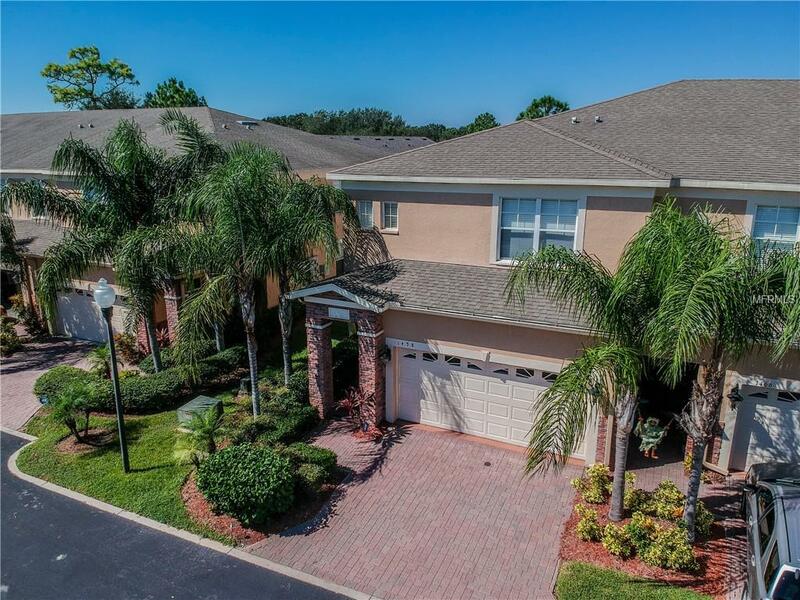 Beautiful, impeccably maintained, move-in-ready townhome in the exclusive gated community of Beckett Way in lovely Tarpon Springs. This 4 BED, 2.5 BATH boasts over 2200 SQ feet, LED lighting, granite countertops, spacious bedrooms and a cozy lanai! The kitchen comes equipped with a state-of-the-art stainless steel fingerprintless fridge, spacious island, granite counter tops, dual sinks and an additional pantry that provides lots of extra storage. The large downstairs living area is great for entertaining or just relaxing, and the high ceilings give this townhome a spacious and airy feel. Make your way upstairs to the huge master bedroom & en suite, affixed with dual vanity sinks, a soaker tub, standing shower, water closet and a large walk-in closet. This is a true maintenance free living opportunity! The grounds and roof are taken care of by the HOA. There is also a swimming pool and BBQ area to enjoy. Beckett Way Townhomes are conveniently located to all major shopping, beaches, and schools. From the moment you enter this townhome you will feel right at home!!! Pet Restrictions Two Dogs &/Or Two Cats Are Allowed. Breed Restrictions Apply. Contact Vesta Property Services For Further Pet Restrictions.